At Hayward®, they’re more than just equipment. Their objective is to make your pool experience worry and hassle-free. That’s why their equipment is engineered to last and work smart at keeping your pool sparkling clean and trouble free. For over 80-years, they’ve been helping pool owners enjoy the pleasures of pool ownership by manufacturing cutting edge, technologically advanced pool equipment worldwide. They strive to ensure that your Totally Hayward™ System operates at maximum efficiency all season long. Hayward’s goal is that at the end of the day, your only concern is to turn your equipment on and off. Whether you are trying to create the perfect backyard environment, reduce operating and maintenance costs through the ease of wireless controls, Hayward is your single source solution. Their products include a complete line of technologically advanced pumps, filters, heaters, heat pumps, automatic pool cleaners, lighting, controls and salt chlorine generators—high-quality components engineered to work together to keep your pool at its best. Whether you’re looking for sand or Diatomaceous Earth (D.E.) 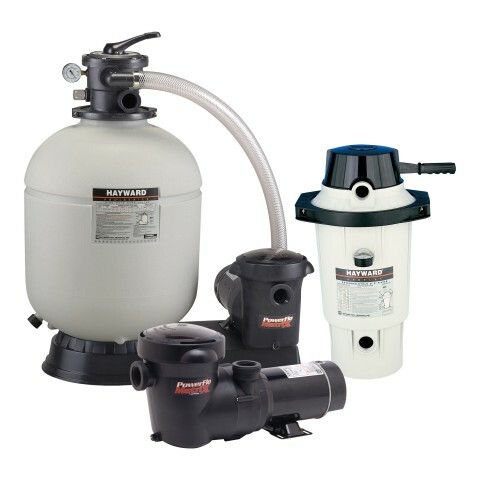 filter systems, Palmer Pool Sales has a large supply of Hayward systems and parts. Stop in today to see our in store displays and learn which solution will best meet your needs. 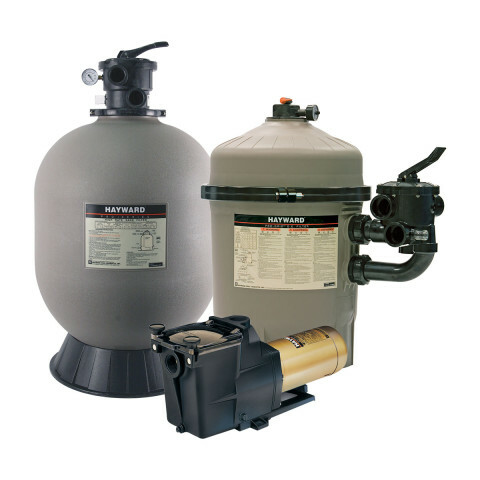 Palmer Pool Sales also carries a complete line of Hayward systems specifically designed for in ground applications. Not sure what you need? Our knowledgeable staff can help guide you to through the process. Need a specific filter or pump part? Most likely, we have what you need in stock to get your pool back up and running!